The capital city of Slovenia, Ljubljana, is the picturesque setting for this year’s European Robotics Forum. Considered to be one of the most important events in the European robotics industry calendar, it is attended by around 700 European robotics experts, politicians and business people. The event, which started earlier today (March 21), was opened by the representatives of European institutions and the Slovenian Government, who pointed to the importance of digitised industry, the smart specialisation strategy, research investment and innovation in robotics. Robotics has a tremendous impact on our economy and society. 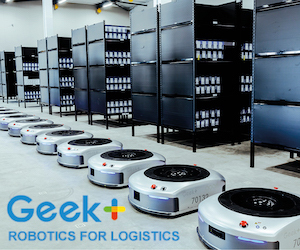 Robots are known to save costs, to improve the quality of products and working conditions, and to minimise resources and waste. From today’s €22bn worldwide revenues, according to some estimates, robotics industries are set to achieve annual sales of between €50bn and €62bn by 2020. In the field of industrial robotics, which is currently growing at 8 per cent per annum, Europe’s share of the world market is about 32 per cent. Delegates attending the event spoke of how important it is that Europe maintains its strong position in the robotics industry, and outlines ways it could be done. Here, we convey some of their comments. In a keynote address, Bernd Liepert, president of euRobotics AISBL and head of innovations in the company Kuka said: “Robotics is a success story of interdisciplinary imagination, innovation, and hard work of engineers, physicists, computer specialists, psychologists, ergonomists and many more. Liepert added: “Robotics is a dynamic, interdisciplinary field, where ideas, associations, and creativity merge. To build better robots, for example, there is still plenty of work to be done in ‘mechatronics’ – a term relating to the intelligent combination of mechanics, electronics and information technology. Speaking at the opening of the Forum, Markku Markkula, president of the European Committee of the Regions, said: “Regions can spur innovation. The opportunities are not only with the use of robots – but, even more so with the manufacturing of robots. It just needs to mobilise regional expertise and regional entrepreneurship. He added that regions have a strong advantage: short ways to meet in person, many actors even with family ties, common history and a feeling of working for your “home”. In his opinion, robotics is a transmission belt for creating jobs. Markkula stresses that the robots also have the potential to make “old industries”, such as textile and leather goods, which have been lost almost completely to Asia, competitive again in Europe. He is also convinced that robots will be part of the digitised smart urban and smart rural areas. As an example, robots in agriculture would allow to reduce the use of fertiliser and pesticides by more than 95 per cent. Juha Heikkila, head of the robotics unit at DG Connect, said: “Digitisation leads to innovation in products, processes and business models, and holds major potential for economic growth. Robotics and artificial intelligence are key drivers of this innovation. Mady Delvaux, a European Parliament member from Luxemburg, said: “We need a balanced European framework for the development of robots and AI. Matteo Fusari, of the European Investment Bank, said: “Financing advanced robotics falls within the Innovation and skills priority area. Europe is facing a major challenge in terms of competitiveness and innovation and investments are required in order for Europe to remain at the frontier of these key technologies. Dr Zoran Stančič, the European Commission representative in Slovenia, said: “European economy does not wish to take part in global competition on the basis of cheap labour. At the same time, we must maintain and build the manufacturing industry, with the processing industry already accounting for about 20 per cent of the European GDP. 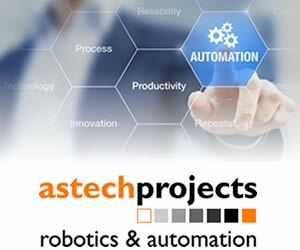 Therefore, the main objective is to achieve a higher-level automation of processes and manufacture, in which robots play a key role. Dr Maja Makovec Brenčič, minister of education, science and sports of the Republic of Slovenia, said: “Our ministry, as an institution responsible for science, has three focuses, scientific excellence, internationalisation and establishing stimulative environment for cooperation within the knowledge triangle. “Last year Slovenia adopted the smart specialisation strategy, which is a precondition for investment in research and innovation from the structural funds. One of the objectives of the smart specialisation strategy is raising the level of digitalisation with automation and robotisation in manufacturing and increase export of automated industrial systems and equipment by at least 25 per cent by 2023, in particular in tool industry, robotics and smart industrial mechatronic systems. These commitments clearly represent our awareness of importance of development in robotics.